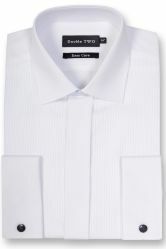 This classic formal dress shirt is perfect for evening wear to complement your Dinner jacket. It is made from finest quality cotton and polyester for style, durability and comfort. 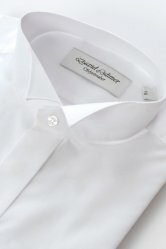 The attention to detail in this shirt is what you would expert from Daniel Hechter, and you will be confident wearing it for any occasion. ***Last few remaining in stock, buy now to avoid disappointment! ***. Stylish four pleat effect on either side of the buttons. Central fold covering Daniel Hechter buttons. Smart turnover cuffs to set off your cufflinks. Available in classic white colour. Last few - Available in neck sizes 15 inch only. 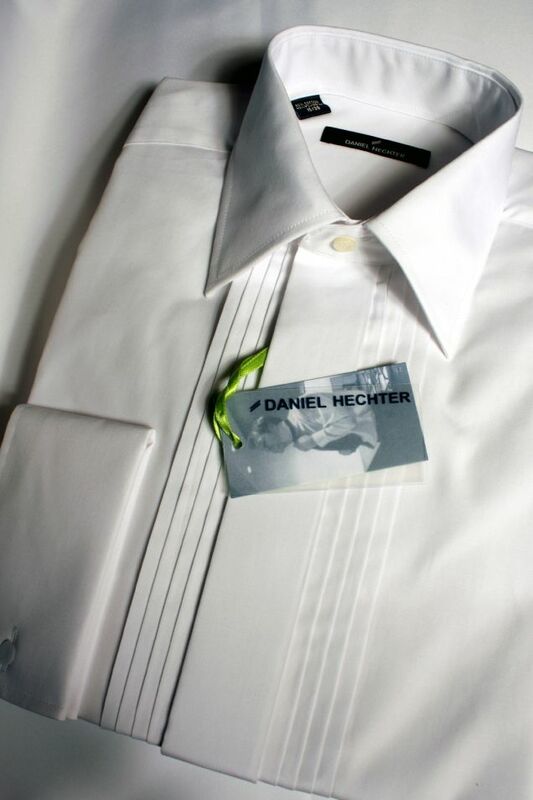 (0) reviews % Formal Shirt from Daniel Hechter.